Make your very own SKA dish. The SKA high frequency dishes will adorn the South African desert regions, combining to make the largest telescope ever constructed, the Square Kilometre Array. Here you can cut out and make your own model of the SKA, perfect for classroom activities. Making multiple telescopes, you can work out the best way to arrange them to maximise the amount of signal they can collect. 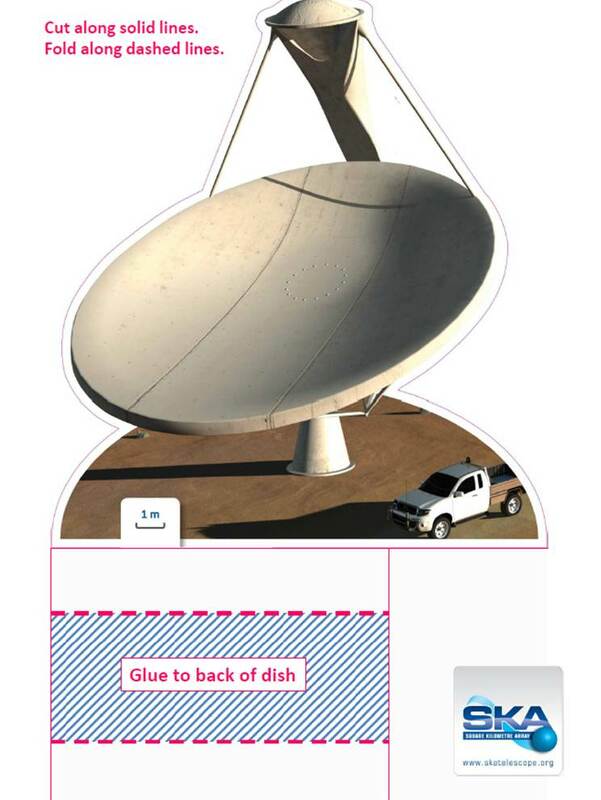 Download the dish template pdf here and print on thin card. Simply cut along the solid lines, fold along the dashed lines and then glue the blue stripy panel to the back of the dish for your personal piece of the SKA. Now imagine thousands of these spread across the desert each 15 m in diameter!